Disaster means a catastrophe, mishap, calamity, or grave occurrence in any area, arising from natural or manmade causes or by accident or negligence which results in substantial loss of life or human suffering or damage to, the destruction of, property, or damage to, degradation of environment, and ease of such a nature or magnitude as to be beyond the coping capacity of the community of the affected area. 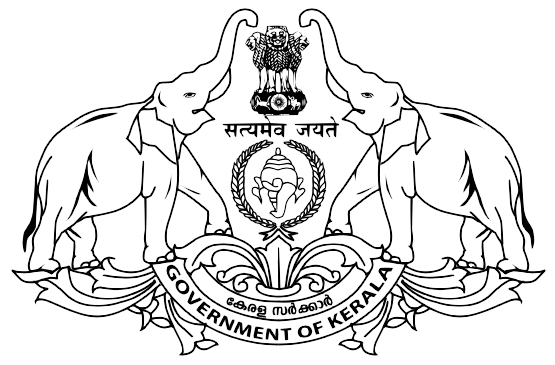 District Disaster Management Authority (Thiruvananthapuram) is an institution constituted as per the National Disaster Management Act 2005 at the district level to ensure effective management and response to any disaster. The DDMA (Thiruvananthapuram) has following structure. Health and Family Welfare: Chemical, biological, radiological and nuclear disasters. Factories and Boilers Department, Department of Industries and the Industry: Industrial accidents. The DDMA shall establish a proper chain of command system for planning coordinating and implementing schemes for effective management of disasters and organize the activities of all agencies responsible for disaster management in the district. The ICS will provide information on facilities equipments personal procedures, and communications operating within a common organizational structure, DDMA has the authority to make any necessary institutional arrangements, assign responsibilities and modify any existing administrative mechanism or procedure to effectively accomplish the specified objectives pertinent to an incident. Monitor the implementation of disaster management plans prepared by the departments of the Government at the district level. Monitor the implementation of measures referred to in clause. Review the state of capabilities for responding to any disaster or threatening disaster situation in the district and give directions to the relevant department or authorities at the district level for their up gradation as may be necessary. Review the preparedness measures and give directions to the concerned departments at the district level or other concerned authorities where necessary for bringing the preparedness measures to the levels required for responding effectively to any disaster or threatening disaster situation. Organize and coordinate specialized training programs for different levels of officers, employees and voluntary rescue workers in the district. Lay down guidelines for, or give direction to, the concerned department of the government at the district level or any other authorities within the local limits of the district to take measures to respond effectively to any threatening disaster situation or disaster. Coordinate with, and give guidelines to local authorities in the district to ensure that measures for the prevention of mitigation of threatening disaster situation or disaster in the district are carried out promptly and effectively. Perform such other functions as the State Government or State Authority may assign to it or as it deems necessary for disaster management in the District. All officers concerned should ensure that all employees are trained for disaster management. All resources relating to disaster management are so maintained as to be readily available for use in the event of any threatening disaster situation or disaster. Ensure all construction, projects under it or within its jurisdiction conform to the standards and specifications laid down for prevention of disasters and mitigation by the national authority, state authority and the district authority. Carry out relief, rehabilitation and reconstruction activities in the affected area in accordance with the state plan and the district plan. The local authority may take such other measures as to be necessary for disaster management.